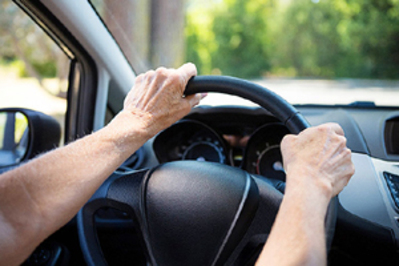 The number of car accidents caused by elderly drivers is increasing rapidly. 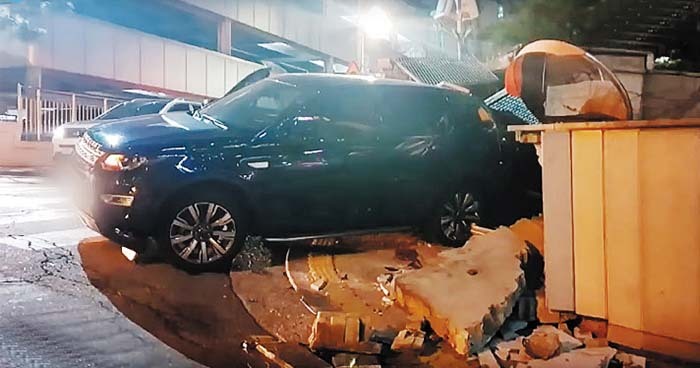 A 95-year-old man killed a pedestrian in her 30s, as the driver plowed into her after his car accidentally crashed into a building in Seoul's affluent Cheongdam-dong on Wednesday. This is the latest instance caused by a consequence of Korea's aging society, in which those aged 65 and above make up 14.8 percent of the population. In 2017, over 26,000 car accidents were caused by elderly drivers, a whopping 160 percent increase from 10,000 cases in 2008. A Land Rover Discovery SUV stands on a street after a collision in Seoul's Cheongdam-dong on Wednesday. Elderly drivers' cognitive ability is reduced to the point that they take almost twice as much time to respond and cope with unexpected situations than younger people. To deal with the situation, starting this year the government shortened the license renewal period for over-65s from five years to three years. At the time of the renewal, elderly drivers are also required to take two hours of safety education. Besides the mandatory measures, some local authorities are also encouraging elderly drivers to voluntarily turn in their driver's license. However, without legal obligations or some financial incentives, as of 2017, fewer than 5,000 elderly drivers had done so.